Aerodromme is a vibrant duo project based in Toronto, Canada. The act was created by was created by Boris “Shankar” Kurtzman and Steve Chan, the two members share strong passion for music. Aerodromme has emerged as one of the most promising names in the Progressive Techno circuit. 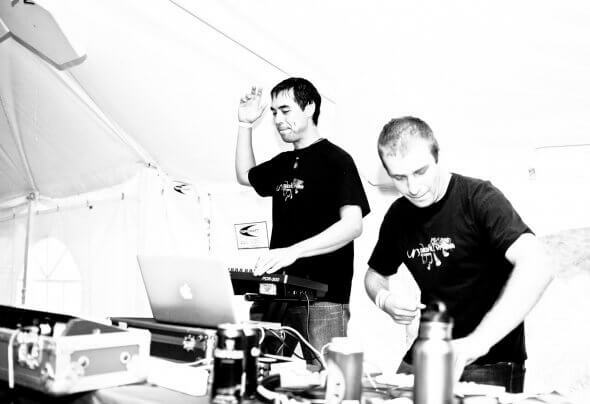 Their style is an effective blend of progressive house and minimal Techno with a deep connotation. Aerodromme has released music on such prominent labels as Tribal Vision, Baroque, Blue Tunes, Spiral Trax, Plusquam, Nuuktal Records, Air Snare and Balkan Connection; and received support from heavyweights such as Wehbba, James Harcourt, Perfect Stranger, Re- Zone (Toolroom Records), Astronivo, Chloe Harris, Timo Maas, Fiord, Danny Howells, Tomcraft, Duca, John Deere, and Simone De Caro (Binary 404) just to name a few. Please tighten your seatbelts, as the jet is about to take off!